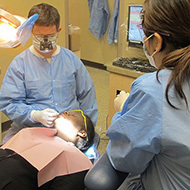 The connection between oral health and overall health is well-established. However, we’re just beginning to discover how oral health affects those not yet born. “Oral care is particularly important during pregnancy, as hormonal changes make the gums more susceptible to swelling and infection,” says Bill Solberg, Director of Community Services for Columbia St. Mary’s. It was with that need in mind that this past January, Columbia St. Mary’s St. Elizabeth Ann Seton Dental Clinic launched a bold, new project to provide free dental care to expectant mothers. Christine Nuernberg is a tireless community leader whose four terms as Mayor of Mequon were marked by respectful, effective leadership, community enhancement and development projects that promoted and benefitted all of Ozaukee County. 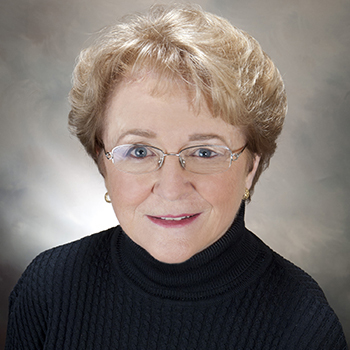 It is because of this and a lifetime of other civic achievements that Columbia St. Mary’s Foundation is excited to announce that Christine Nuernberg has been selected as the 2014 Doerr Tradition of Caring Award winner. 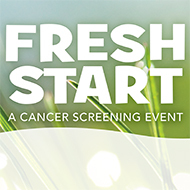 If you haven’t been tested – or want more information – don’t miss Fresh Start, our free cancer screening event on Saturday, March 22nd at Columbia St. Mary's Milwaukee.